A noticeable trend in the global market for malt ingredient for bakery is the manufacturers’ focus on developing superior quality products that are also gluten-free and have high nutritional value. With a rising crop of discerning consumers, producers have switched focus to value-added products. They are no longer focused on higher production volumes at the cost of quality. Surging consumption of bakery products all over the world, on account of increasing purchasing capacity of people and changing lifestyles, is the primary driver of demand for malt ingredient for bakery. With new healthier versions of products being launched every now and then, the market is receiving further boost. Apart from that, growing number of organic and natural ingredients and products is also helping sales increase. This is because of a rising preference for such non-synthetic products which do not have any negative impact on the health. For example, malted barley extracts are supplanting unhealthy sugar in bakery products. This is serving to up demand in the market. 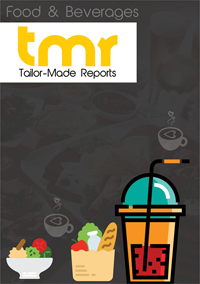 The global malt ingredient market for bakery, on the downside, is currently being restrained by factors including the growing use of malt in distilleries and breweries, leading to a shortage of grains. Malt ingredient for bakery finds application in biscuits, bread, brownies, cakes and pastries, cookies, pizza, doughnuts, etc. The segment of cookies, among them, accounts for a dominant share – amounting to over a billion dollars – in the market. The segment is also projected to expand at a healthy clip in the years to come. Biscuits and cakes and pastries are predicted to be other key segments that would hold out a lot of potential. Some of the main sources of malt ingredient for bakery are wheat, barley, etc. Among them, the segment of barley leads the market at present and in the near future too will continue doing so. Geography-wise, Latin America, North America, Europe, Asia Pacific, and the Middle East and Africa are some of the main segments of the global market for malt ingredient for bakery. Of them, North America is a key region that has high chances of leading the market in the upcoming years. Europe will likely emerge as another promising market. Both the regions are predicted progress impressively in the near future. Another region to look out for in the global market for malt ingredient for bakery is Asia Pacific. It is expected to expand at a healthy clip in the next couple of years, powered mainly by the demand from fast-expanding, densely populated large economies of India and China. Some of the prominent names in the global market for malt ingredient for bakery are Malteries Soufflet SAS, Malt Products Corporation, Simpsons Malt Limited, Briess Malt & Ingredients Co., IREKS GmbH, Muntons PLC., Polttimo Oy, VIVESCIA Industries, Dohler GmbH, GrainCorp Malt Group, Cargill, Inc., RAGLETH LTD., and Axereal Group.